Adel Yaraghi is an Iranian writer/director whose uncommonly assured debut feature, Meeting Leila, received its North American premiere last night at the Chicago International Film Festival. The title character of this sweet and touching comedy is a perfume tester (A Separation‘s Leila Hatami) who demands that her fiance (Yaraghi), a chain-smoking advertisement writer, give up cigarettes before their upcoming wedding. I had the pleasure of recently speaking to Yaraghi about the film, his mentor Abbas Kiarostami (with whom he co-wrote the film’s original screenplay and whom he still refers to reverentially as “Mr. 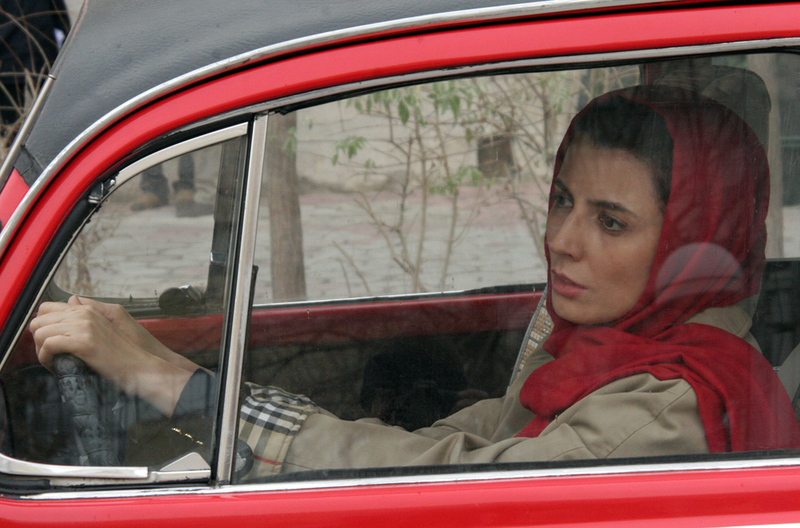 Kiarostami”) and what it was like working with the great Leila Hatami. Meeting Leila will screen tonight (with Yaraghi in attendance) and again on Saturday. I urge every Chicagoan reading this to check it out. It is one of the highlights of this year’s festival. MGS: You went to film school in the U.S. and worked in the American film industry for a while. Was it ever your intention to make movies in America or did you always plan on taking your training back to Iran so you could make movies back home? AY: No, I did not actually think I was going to go back to Iran. I studied here and I started working here for a while for Roger Corman. I decided to be an editor because I was not thinking that I can make films here because it is so difficult. So things worked out that I got this job editing. I was an assistant editor for a few shows and then also a feature film; it was called Almost Salinas. And then I went back to Iran just to visit and one thing led to another and I stayed two, three, four months. And things worked out so that I stayed to clear some things up financially over there. And after a couple of years I decided, “Okay, now I can go back (to the States).” I was on my way back. I was in Dubai, I think. A friend of mine called and he said that Mr. Kiarostami is having a workshop close to where I used to live. I had no idea that I could meet him ever because it was so big for me. I really loved his films. So I came back to Iran just to go to the workshop. I didn’t believe that it’s going to be him teaching. I thought I was going to go there and there’s an assistant and things like that. But he was there and he received me very well and he asked me a couple questions and he said, “We only have two or three meetings left. If you want to come, you’re welcome.” So I started and it worked so that they made short films about a certain subject – 2, 3, 4, 5-minute films every week. People would come in every week. They would meet for seven hours and they would bring DVDs of the films that they had made with very little budget – like, pocket money. That was the only requirement of the class. MGS: So it was like film school? YA: Yeah, yeah. Much better for me because I had my BA and MFA here for six years (in the U.S.) but I learned more during those times (in Kiarostami’s workshop) because it’s hands on. You make films. So I made some films and he liked some. The first two I made he liked. So I was supposed to go to the next workshop. The next workshop, he didn’t like my first film, which I thought is going to be great because I had worked on it very much. He started talking about the film, why it is not good, and I did not understand a word he was saying. I didn’t know where he was coming from so I decided to quit. I thought, “It’s not my thing. I’ll go do something else. Cinema is not for me.” Because I believed in him, really, and what he was saying. But then I decided to go back. I thought, “Okay, every week I will make a film. I will take it to class. He has to talk about it. And I will steal that time from him.” Otherwise, he has no time for me. And then out of these films I will find out, during these three months or six months, am I going to be able to continue or not? Is this my thing or not? And then, little by little, he started to like – and then love – my films. And then one thing led to another and then he gave me an idea to make a feature film. And he thought I’m a great actor (laughs) because I played in a couple of the short films that I made. And then he said, “I have an idea that I wanted to make but I couldn’t find the right person for it. And you’re the right person. I’ll give you the idea on one condition – if you play it.” And I said, “Fine. All right.” So I wrote the script based on his story. And then I gave it to him and things started to go. MGS: One thing that really impressed me about your film was the compositions. The framing is very precise, which is something you don’t see in a lot of first films. I loved the first shot of the film, where your character, Nader, is in the background and his cell phone and his cigarettes are in the foreground. YA: Only one take. I just got it because I thought maybe we’ll use it, maybe not. We didn’t repeat it at all. MGS: Oh, you didn’t even know that was going to be the first shot? MGS: I thought that shot was really funny because the phone rings and you think he’s going to reach for the phone but he grabs his cigarettes instead. It tells you so much about his character without any dialogue. YA: Exactly. I’m glad you like it. MGS: There were a lot of scenes like that, where the humor comes out of either the composition or the editing – or the lack of editing – because you don’t seem to like a lot of cutting. My favorite scene in the film is the one where Nader is buying the ashtray: he’s talking on his cell phone and he’s getting really angry and he starts pacing and it seems like he’s going to break something. That whole thing was one long take and I think that made it funnier somehow. How did you decide how to shoot that? YA: Yeah, it was intentional. How did I decide to shoot that? There is only a couple (examples) of handheld camerawork in the film. And I wanted that to be handheld. MGS: It feels like a documentary. YA: Yes. That’s my intention in that scene. I want it to feel real. I thought it would add to the tension for it to be handheld. Plus, if I started cutting it would reduce its reality and the feel of being real. MGS: I want to ask you about Leila Hatami. She’s a phenomenal actress and she’s worked with a lot of great directors. Was it intimidating for you to either direct her or act opposite her? YA: To be honest with you, one of my biggest problems making this film was that I could not imagine who would be the lady playing the part. But somehow the first person that came to my mind was Leila Hatami. But here I am making my first film – first actor, first director, first everything – and here she is. She wasn’t as big at the time because she got to be very famous with the last film, A Separation. I didn’t know. That movie hadn’t come out. She had acted in it but I had no idea. So I had her in mind but I thought, you know, it’s almost impossible. So I started to look for other people but I always had her in the back of my mind. I was afraid to say to anybody that I want Leila for the film because I knew I had to pay a lot of money. I knew I had to do a lot of things and she might come and she might not. There was little chance for her to come. Mr. Kiarostami asked me a question. He says, “You have to tell me what your strategy is so I can show you the tactic. Do you want a first rate actress, do you want second or third?” I said, “I’ll think about it and I’ll tell you tomorrow.” So I thought to myself, “This is a good opportunity for me. Finally I’m making a film. 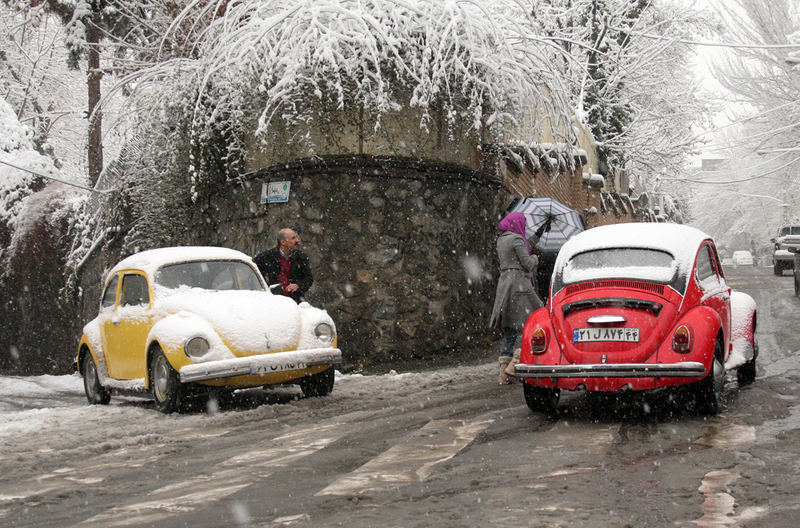 The script is co-written by Mr. Kiarostami. So I should go all the way. I don’t want a half-assed thing.” So I came back and I said, “I want a first rate actress.” He said, “Who do you mean?” I said, “Leila or someone else.” He said, “Whoah, you have a lot of confidence. Do you have some way of getting to her?” I said, “Well, I have a couple of friends that know her.” So anyway I called her through a friend of mine and she was very difficult at first. Not difficult but she was maybe not interested, maybe afraid because she had played this role in such an important film (A Separation) and she didn’t want to right after that do a film that nobody knows about. But then, after a couple times I talked to her, she agreed to read the script. So she read the script and then she agreed to meet ’cause she said she likes it. Then we met and she says, “I like my husband.” Meaning me in the film. Then she says, “Now I want to see your short films.” So I sent her all the films. From then on she was very easy to work with. No, I wasn’t afraid at all. MGS: I think it’s interesting that she said she liked her husband; another great scene is the one where Leila and Nader leave the movie theater and she gives him the cigarette. They’re sitting on opposite park benches, facing each other, and she says to him, “This is your last cigarette.” But when she says it, she has this little smile on her face . . . YA: Right, right, right. She knows it might not be . . .
MGS: I thought that was such an interesting choice because I think a lot of actresses would have played that line a little bit angrier. When you’re rehearsing a scene like that are you specific about telling your actors what you want or do you allow them to find their own emotional response? YA: That scene, again, it was one take: one of her, one of me. MGS: Did you rehearse it? YA: Not so much. I told her what I wanted out of the scene and she’s professional. She did a great job. Yeah, that’s the line. “This is your last cigarette.” In Farsi she says it so nice. So powerful. MGS: And so that smile was her, that’s what she brings? YA: Yeah, exactly. I’m glad you noticed. Another little sentence that she says in the red car . . . What does she say that I like so much? “What do I do with you?” She’s very sweet at some points and it really punctures through your feelings. MGS: Absolutely. It makes the whole film very sweet. YA: Yeah, she was very good. She made it very easy to work. I also was very nice to her because I explained the film to her. I explained even how we were going to shoot a scene. She was surprised because she says people don’t do that. They don’t tell you what they want to do. I told her, “This is how the camera is set up and this is how it’s going to be.” I even asked her if she was okay with that. And she liked it a lot from the beginning, from the get-go. YA: No, no. I think that ending is kind of smart because you could take any side and say, a hundred percent, he promised and he’s such a dedicated person. He was very serious in the car: “When I make a promise, I make a promise.” But then again somehow you could make the same argument against him because every time he promises about this matter . . .
MGS: So each audience member kind of writes their own ending? YA: Exactly. Depending on the character that they get from the film. MGS: I felt like he was probably going to smoke again but I also felt that their relationship was good. I felt like that was going to work even if he continued to smoke. MGS: It seems like a lot of prominent Iranian directors are working outside of Iran now either by choice or by necessity. Do you feel optimistic about the future of the Iranian film industry? YA: We have Kiarostami, which is a great mentor. I think he has made a great influence, aside from the other parts of the world, in our cinema. If nothing else on acting, natural acting. He’s very helpful with people that are serious about work and about what they want to do. Then there is the person who did my sound, the supervising sound editor, Mr. Delpak, who’s done Mr. Kiarostami’s film (Like Someone in Love) too. He’s a great mentor. So having these people still there, yeah, I hope that good films still come out of Iran. Iranian literature is very strong but somehow it hasn’t gotten out because of translations or other problems. Our literature, our poetry is very rich. So, there is that background and that backing for the films. And there’s now these modern filmmakers that have made ways easier for us to make films. Their films have been seen and accepted and regarded as good films. And now it helps new filmmakers to follow their path and be accepted and well received all over the world. So, yes, I’m hopeful. I see a lot of light at the end of the tunnel. MGS: Best of luck to you. YA: You too. Thank you so much. You can purchase tickets to Meeting Leila here.